Any Sydneysider’s eyes will light up at the mention of watermelon cake. Black Star Pastry, which now has several cafes around Sydney, makes a watermelon cake that is truly heavenly. So, when I came across Watermelon Cake in Nana Ling’s recipe book, I was instantly excited. And then confused. Very confused. This didn’t quite sound like the style of watermelon cake that I’m used to. 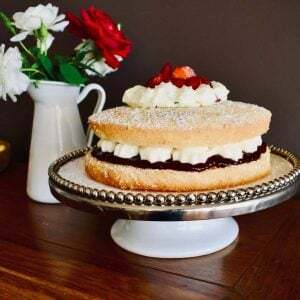 There’s no watermelon in the cake, for starters, only sultanas. With no visuals in the recipe to guide me it was all a bit mysterious until I reached the end of the recipe’s instructions. Ah, yes, a cake that looks – not tastes – like a watermelon! 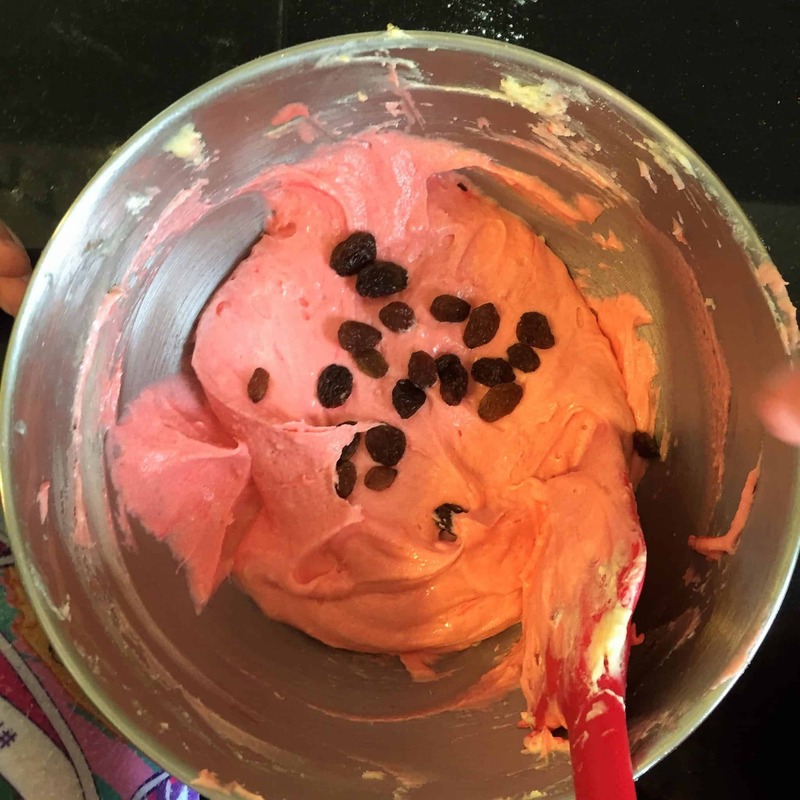 It’s a fun recipe to make and perfect for a kids party or summer-themed event. A tip before starting: you need a small, deep round cake tin. The smallest I had was an 8-inch tin which worked okay, but a smaller tin would have made the baking stage, and perhaps the result, even better. Add eggs one at a time, beating well after each is added. Add milk slowly and then add flour and mix to combine. Set aside 1/3 of the mixture. Add sultanas and red food colouring to the remaining mixture. 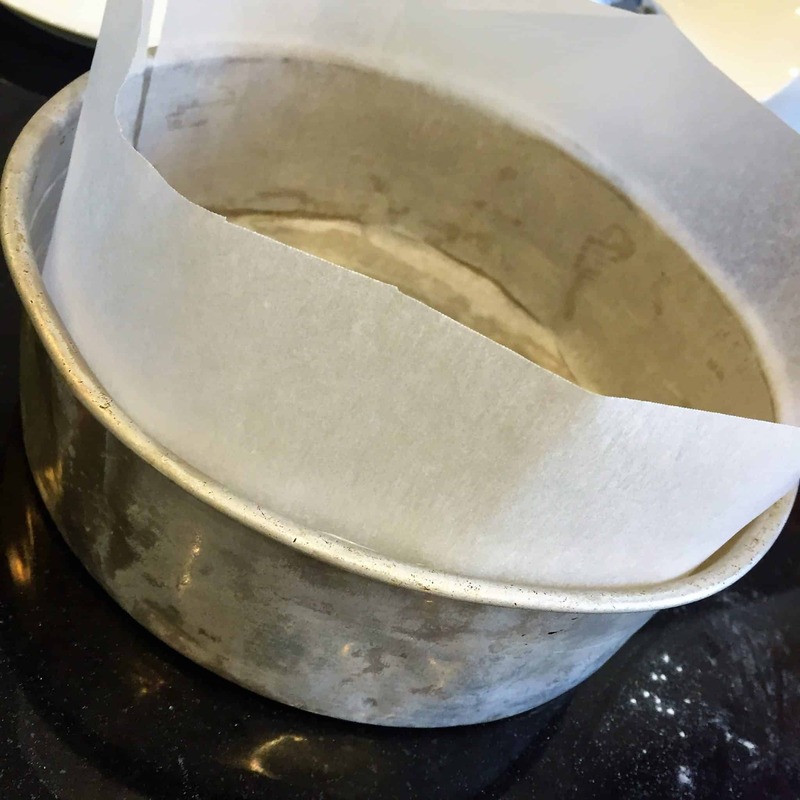 Grease a small, deep, round cake tin (6 or 7 inch preferably) and spread plain mixture around the sides. 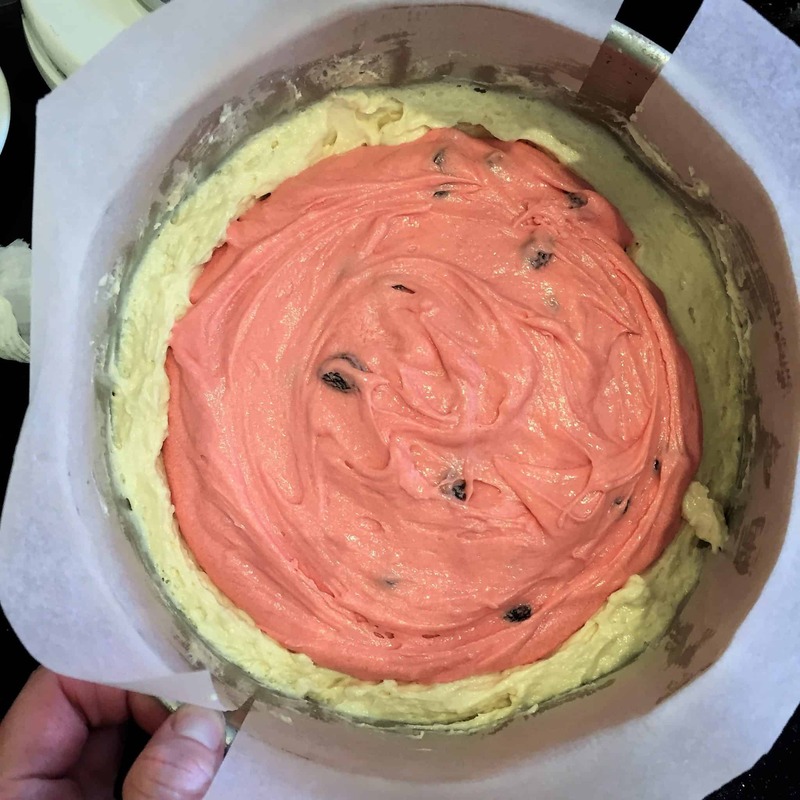 Pour coloured mixture into the centre of the cake tin. 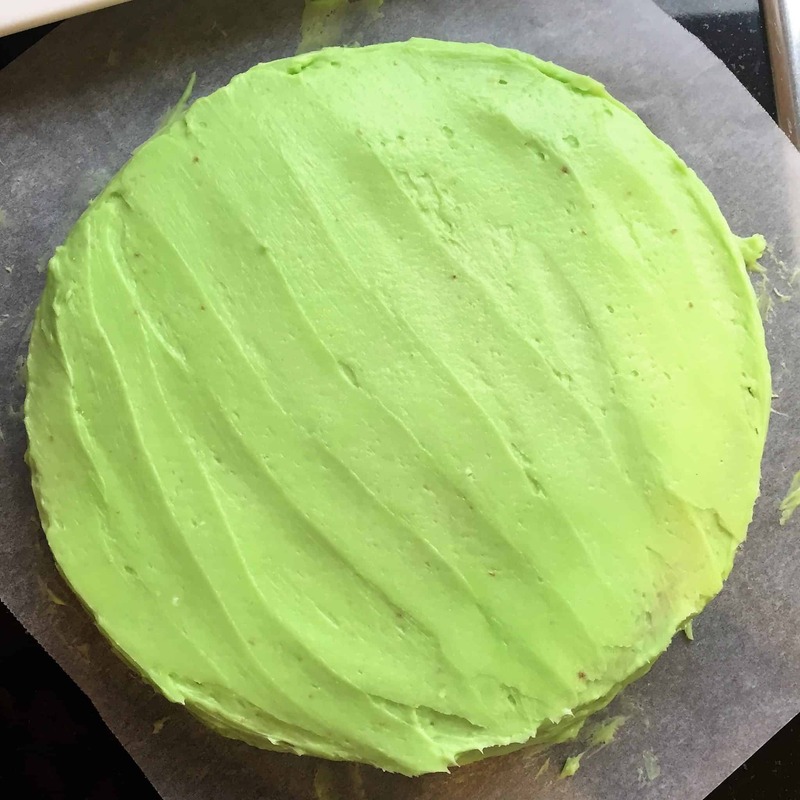 When cool, ice with green-coloured icing. So clever of Nana Ling, Libby. My son would have loved this when he was younger. He turns 20 next month but I could still try my luck! He still loves watermelons..though not so fond of sultanas! Thanks for your lovely comment, Zohra. Yes, my kids spat out the sultana seeds just like they would watermelon seeds 🙂 Wow, 20 – hope he has a great birthday!